I had the issues that my work computer was coming with only 128GB on c-drive. I wanted to use hibernate but with 16GB RAM, the hiberfil.sys takes up (75%) 12GB on the file system. Also I would have liked to move the file to another drive, but that is not possible. To get rid of it, simply turn off hibernation. This command will reduce the filesize to 50%. The default is 75%. Target: Windows 7 (probably more). 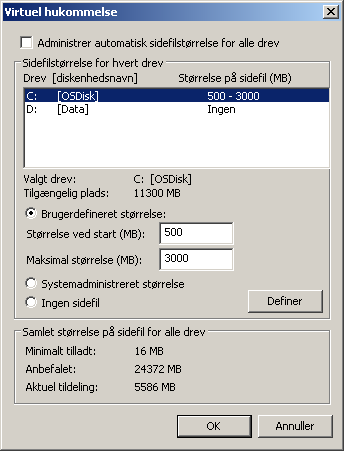 You can change the filesize of pagefile.sys – and even move it to another drive (I believe). 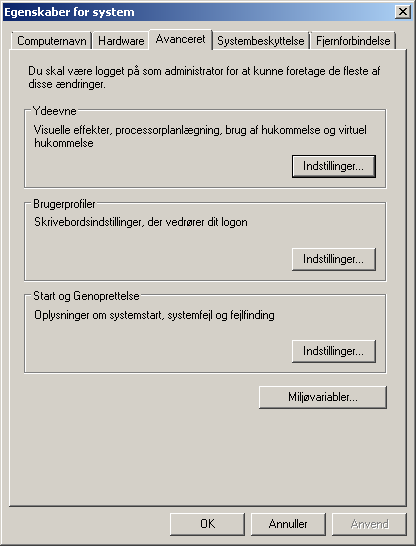 Find System – In danish: [Kontrolpanel\System og sikkerhed\System].